EARTH, Undisclosed Location — Based on breaking news and events, it appears that CIA Headquarters located beneath CERN at Lake Geneva in Switzerland is plotting a Russian bio-chemical attack in America or Europe on April 23, 2019, specifically to trigger World War III and/or spark a global biological pandemic. EARTH, Undisclosed Location — Based on breaking news and events, it appears that CIA Headquarters located beneath CERN At Lake Geneva in Switzerland is plotting a Russian attack and/or invasion of the United States on April 23, 2019, the opening salvo of all-out nuclear World War III with America and her NATO allies. GERMANY, Undisclosed Location — Based on breaking news and events, it appears that CIA Headquarters located beneath CERN at Lake Geneva in Switzerland is plotting a Special Forces (i.e., professional terrorist) attack, coup d’état and subsequent Civil War in America on April 24, 2019, most likely via U.S. Navy SEALs allegedly loyal to Obama. EARTH, Undisclosed Location — Based on breaking news and events, it appears that CIA Headquarters located beneath CERN at Lake Geneva in Switzerland will arrest me, David Chase Taylor, for alleged incitement on April 16, 2019, likely claiming that one of my reports were responsible for CIA-spawned attacks, possibly arson in nature. Incitement is defined by Wikipedia as ‘… the encouragement of another person to commit a crime. Depending on the jurisdiction, some or all types of incitement may be illegal. Where illegal, it is known as an inchoate offense, where harm is intended but may or may not have actually occurred’. Needless to say, I have never incited anyone or any thing. Once I am arrested by double-agents within local, state or federal government, I will predictably be taken to a CIA Black Site somewhere in the World and tortured ad nauseum prior to being murdered in a ritualistic blood sacrifice. Post-mortem, the CIA will likely claim that I killed myself or something to that effect. In order to provide the CIA timely media and political cover for the fraudulent arrest of the World’s most wanted whistle-blower journalist, the CIA staged the arrest of fake whistle-blower Julian Assange on April 11, 2019. The high-profile case will be used to muddy the waters in respect to my fraudulent arrest and subsequent assassination. In the event that a second whistle-blower like myself is arrested on April 16, 2019, it would mark two such arrests in 6-days (2/6). The number ’26’ equates to the letter ‘Z’ which is an acronym for Zionism which is the sole political motivation behind my impending arrest on fraudulent incitement charges. The date of April 16, 2019, coincidentally marks 842-days since I published a report revealing that Switzerland was the first Jewish State. Consequently, it appears that the CIA will arrest me for allegedly inciting some type of attack against Jews and/or the state of Switzerland, possibly arson-related in nature. The number ‘42′ or ’24’ equates to the letter ‘X’ which is known internationally as the symbol of death. 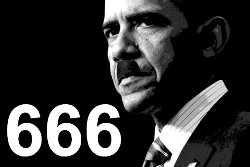 The number ‘84′ is synonymous with mass death and genocide (e.g., George Orwell’s ‘1984’, FEMA Camp legislation ‘REX 84‘, would-be global dictator Obama’s birthday on August 4th, etc.). Exactly what type of attacks the CIA will stage as the fraudulent pretext for my arrest is not known, but it appears that the CIA plans to stage one or more arson attacks on synagogues in Europe, most likely in Germany, France, Poland, Sweden and/or Switzerland. Arson attacks targeting Swiss churches is also a realistic possibility. In order to provide the CIA media and political cover for arson attacks targeting Jewish synagogues and/or Swiss churches, the CIA staged three arson attacks targeting churches in America starting on March 26, 2019, as well as a made-for-TV arson attack targeting the iconic Notre-Dame Cathedral in Paris, France on my birthday, April 15, 2019. Coincidentally, the date of April 16, 2019, marks 493-days since the CIA staged the first Anti-Semitic arson attack on a synagogue in Sweden back on December 9, 2017, and 491-days since the CIA staged a second Anti-Semitic arson attack on a chapel in Sweden back on December 11, 2017. Aside from the fact that Sweden is routinely used as media and political cover for Switzerland because most people don’t know the difference between the two European counties, the number ‘49′ equates to the letters ‘DI’ as in ‘Die’ which suggests that the CIA will stage a third or fourth Anti-Semitic attack on this particular date. The notion that the CIA staged the aforementioned church-related arson attacks as media and political cover for my arrest for alleged incitement is confirmed by the fact that the purported suspect arrested in the string of arson attacks in Louisiana is a white male like myself who coincidentally has long hair just like I do. The date of April 15, 2019, coincidentally marks 769-days since I first informed German police about CIA Headquarters located at CERN in Geneva, Switzerland back on March 8, 2017. To date, over 300 German police officers have been informed of the CIA in Switzerland by me personally. Needless to say, a revenge arrest for springing the ‘CIA in Switzerland’ leak is expected. The number ‘69′ invokes the ‘6’ and ‘9’ numerology which forms the eye in C-‘I’-A when conjoined or superimposed which is why the nuclear attacks on Hiroshima and Nagasaki were executed on August 6 and 9, 1945, and why intelligence agencies like the CIA, FBI, FIS and MI6 all contain the respective ‘6’ and ‘9’ numerology (F=6, I=9, S=19). The date of April 15, 2019, coincidentally marks 699-days since it was first reported back on May 17, 2017, that 6-people were charged with incitement after they allegedly made anti-Semitic slurs towards Jews riding on a bus in Munich, Germany. The arrests were staged as CIA media and political cover for my incitement-related arrest at a later date. Again, the number ‘69′ invokes the ‘6’ and ‘9’ numerology which forms the eye in C-‘I’-A when conjoined or superimposed which is why the nuclear attacks on Hiroshima and Nagasaki were executed on August 6 and 9, 1945, and why intelligence agencies like the CIA, FBI, FIS and MI6 all contain the respective ‘6’ and ‘9’ numerology (F=6, I=9, S=19). Considering that the aforementioned report on the Anti-Semitic tirade raised the notion of ‘right-wing radical group[s]’ with a ‘far-right extremist background’ suggests that the CIA plans to stage Anti-Semitic, Neo-Nazi and/or Right-Wing-related attacks which they will claim post-arrest were incited by my reports. The date of April 16, 2019, coincidentally marks 705-days since a Russian blogger was found guilty of inciting religious hatred on May 11, 2017, and given a three-and-a-half year suspended sentence. Needless to say, the arrest was staged by the CIA as media and political cover for my incitement-related arrest at a later date. In the event of a second blogger like myself being arrested for inciting hatred and/or attacks of some kind on April 16, 2019, it would mark two such arrests in 706-days (2/706). The number ’26’ equates to the letter ‘Z’ which is an acronym for Zionism. The number ’27’ is the single-most used CIA kill number as evidenced by the 27 Club. That same day, May 11, 2017, it was also reported that an Imam in Denmark had been accused of calling for murder of Jews. The timely propaganda report suggest that the CIA plans to claim that my reports in respect to Switzerland being the first Jewish State is the equivalent of calling for the murder of Jews, regardless if the opposite is true. Dan Rosenberg Asmussen, the head of the Jewish community in Denmark, urged police to open an investigation into a possible case of incitement to racial hatred. Asmussen stated that, ‘We fear that weak and easily-influenced persons could interpret this kind of preaching as an appeal to visit acts of violence or terror on Jews’. In other words, the CIA plans to claim that ‘weak and easily-influenced persons could interpret’ the aforementioned Truther.org reports as an appeal to commit acts of violence or terrorism against Jews, regardless of the fact that exposing Switzerland as the first Jewish state has brought the war on terror to a virtual standstill. The date of April 16, 2019, coincidentally marks 777-days since Turkey allegedly arrested a German journalist named Deniz Yücel back on February 28, 2017, charging him with inciting hatred and spreading terrorist propaganda. The arrest was staged by the CIA to set the precedent for a German journalist like myself being arrested on similar charges at a later date. 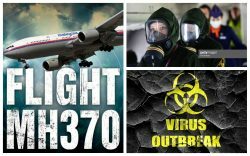 The number 37 (3×7=777) is found in the numerology of the Jewish God of YHWY and the hijacking of Flight MH370 by the Israeli Mossad back on March 8, 2014. Aside from being my birth year, the number ‘77′ (2×7) is the single-most used CIA kill number as evidenced by the number ‘77′ being found in the numerology of the London Bombings of 7/7. EARTH, Undisclosed Location — Based on breaking news and events, it appears that CIA Headquarters located beneath Lake Geneva in Switzerland is actively trying to trigger nuclear World War III between Russia and the United States in the aftermath of an ISIS-related bio-chemical attack in Russia on April 16, 2019, which Putin will predictably blame on America. In order to create a timely motive for an ISIS revenge attack on Russia, it was reported on June 16, 2017, that a Russian airstrike killed the alleged leader of ISIS known as Abu Bakr al-Baghdadi in Iraq. That is specifically why U.S. Senator John McCain was photographed with al-Baghdadi in 2014 so that there would be no question as to America’s culpability in a future ISIS attack on Russia. The notion that the CIA plans to execute an ISIS revenge attack on Russia was foreshadowed back on June 14, 2018, when the Daily Star published a report entitled ‘World Cup 2018: ISIS Threaten Massacre ‘Like You have Never Seen’ to get Revenge on Putin‘. Said ISIS revenge attack will most likely be bio-chemical or nuclear in nature. The notion that Russia will blame America for future ISIS-related attacks targeting Russia was first identified back on October 11, 2017, when Russia claimed that the U.S. Military allows ISIS to operate ‘under its nose’ in Syria. In other words, ISIS terrorists have a free pass which confirms that they are at the very least in cahoots with the U.S. Military. Russian Major-General Igor Konashenkov, a spokesman for the Russian Defense Ministry, stated that Moscow wants to know how 300 Islamic State militants in pickup trucks passed through a U.S.-controlled area and tried to block the highway used to supply Syrian forces between Damascus and Deir al-Zor. Konashenkov stated that, ‘We suggest the American side also explain about another incidence of their ‘selective blindness’ towards militants operating under their nose’. In other words, the U.S. Military needs to explain why they secretly allow ISIS to operate out in the open while simultaneously claiming to be at war with the shadowy Islamic terror group. The notion that ISIS is a de-facto Black Ops branch of the U.S. Military was reiterated roughly 2-months later on December 27, 2017, when Russia openly accused the United States of training ex-ISIS fighters in Syria. In short, the Chief of the Russian General Staff openly accused the United States of training ISIS fighters in Syria in order to destabilize the country. Russian General Valery Gerasimov’s allegations were made in respect to the U.S. military Base at Tanf, a strategic Syrian highway border crossing with Iraq in the southern part of the country. Russia claims that the U.S. base is illegal and that it and the area around it is ‘a Black Hole’ where ISIS militants operate unhindered. The notion that Putin plans to launch a revenge attack on the United States in the aftermath of an ISIS-related attack on Russia and/or Russian-related entities was foreshadowed back on March 13, 2018, when it was reported that Russia will attack the U.S. Military if Trump strikes Syria again. That is because the U.S. Military is actively protecting ISIS-related terrorists in Iraq and Syria with timely airstrikes. Evidently, attempts by Russia and Syria to decimate the so-called Black Hole that is the U.S. Military Base at Tanf have been met with resistance by Trump and his administration, hence the warning by Putin. Interestingly, Russian Army General Valery Gerasimov warned that the U.S. plans to strike under the false pretence of a chemical weapon attack. In other words, Russia is aware of the fact that America is plotting a false-flag bio-chemical attack on Russia which they will blame on ISIS. Lastly, in what appears to be a CIA blood sacrifice offered up to the impending ISIS attack on Russia which is specifically designed to trigger all-out nuclear World War III between the United States and Russia, it was reported on May 27, 2018, that 4 Russian soldiers were killed by ISIS in Syria.